All, six officers appear in court in Baltimore in front of Judge Williams, who will determine whether their still undisclosed statements will be allowed at trial. The officers who gave interviews want the statements thrown out, claiming were not read their rights. They say they feared they’d lose their jobs if they refused to talk to internal police investigators. They also saying the statements violate Maryland’s law enforcement officers’ bill of rights, which says police cannot be prosecuted for statements they were forced to give on the job. All officers except Goodson speak at length about the ride. The defense motion for the charges to be dropped is denied by Circuit Court Judge Williams. Defense attorneys had sought to drop the charges because of prosecutorial misconduct on the part of State’s Attorney Marilyn Mosby. said that while he was “troubled” by some of the comments Mosby made during a May 1 news conference, they did not compromise the defendants’ right to a fair trial. The judge also deniess a motion to recuse Mosby and her staff due to what defense attorneys characterized as conflicts of interest. Williams orders separate trials for the defendants. He rejects a prosecution motion that Officer Goodson, the van driver; Officer Nero, who had helped arrest Gray; and Sergeant White, who was an on-duty supervisor, should be tried together and the other three separately. Having Officers Goodson and Nero together is not in the interest of justice. Mosby announces grand jury indictments against the police officers charged in the death of Freddie Gray. These past two weeks, my team has been presenting evidence to a grand jury that just today returned indictments against all six officers. The motion for her dismissal argues that part of the reason she acted so swiftly was to quash riots in West Baltimore, where Mosby’s husband is a city councilman. A separate motion argues that her rapid decision could be at odds with a law that requires a thorough investigation prior to filing charges. The need to quell the raging inferno of human rage and revulsion within the confines of the 7th District was emergent. These officers soon found themselves offered up to the masses by Mrs. Mosby to quell the uprising that caused most harm to the district where her husband is the City Council representative. 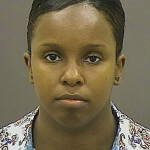 Goodson is charged with second-degree murder, manslaughter, assault and misconduct in office. Rice is charged with manslaughter, assault, misconduct in office and false imprisonment. Officer Porter and Sgt. White are each charged with manslaughter, assault and misconduct in office. Officers Nero and Miller are charged with assault, misconduct in office and false imprisonment. Apparently our GoFundMe account has been suspended with no explanation. We are working to find a new site for donations. Thank you!